Monday September 10th will be viewed as a historic day in the fight to combat climate change. Governor Jerry Brown of California signed a piece of legislation that will require the state to obtain all of it's electricity from clean power sources by 2045. Senate Bill 100, sponsored by state Sen. Kevin de Leon, will require the state to obtain all of its electricity from clean sources such as solar, wind, and hydropower. In addition, the bill also requires electric utilities and other service providers to generate 60% of their power from renewable resources by 2030. 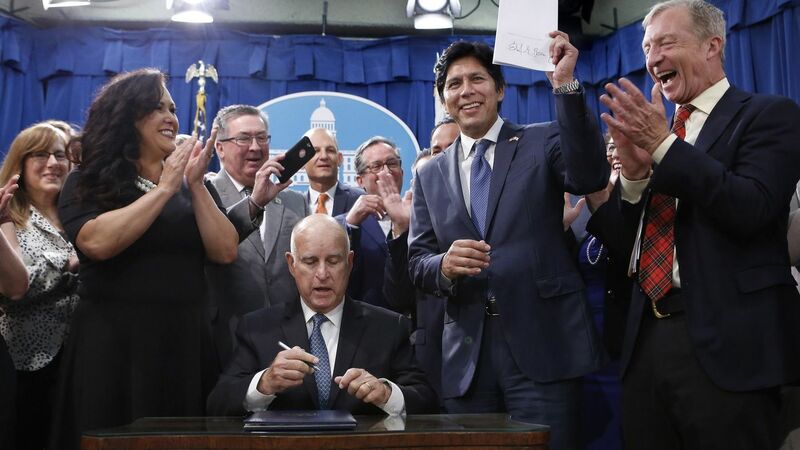 “California is committed to doing whatever is necessary to meet the existential threat of climate change,” Brown said in his signing message for the bill. The MIT Technology Review has already called this "the most important climate law in US history." The Review goes on to say that the rest of the world must respond with similar legislation, but it is a huge step that California is effectively acting as a test bed for what is achievable. The American Council for an Energy-Efficient Economy (ACEEE) posits that the push toward a carbon-free electricity system will need dramatic contributions from energy efficiency in order to succeed. Energy efficiency is still the lowest cost resource that utilities can procure for their customers according to recent research by the Berkeley Lab. While this is a big step in the fight against climate change, more states and nations will have to follow California's lead in order to have an impact.